Abstract This work investigated the composition of the oil extract from achenes of "Kholi" variety of Ficus carica, grown in Tunisia. Fatty acid and sterol compositions were analysed by gas chromatography (GC) coupled to flame ionisation detector (FID). Furthermore, the antioxidant capacity in fig achenes' oil was assessed by employing two different in vitro assays such as DPPH., ABTS.+ radical scavenging capacities. Our results indicated that the fig achenes' oil is a rich source of bioactive molecules. The soxhlet n-Hexane extraction of these achenes produced a total oil yield of 16.24%. The predominant fatty acid was linolenic acid. Concerning phytosterols, the total amount reached 1061.45 mg/100g with a predominance of ∆5,23-Stigmastadienol (73.78%). Regarding antioxidant activities, The half maximal inhibitory concentration (IC50) was 215.86 µg/ml and Trolox equivalent antioxidant capacity (TEAC) was 95.25 mM. These data indicate that fig achenes oil of Ficus carica could be potentially useful in food and pharmaceutical applications. secondary antioxidants by quenching singlet oxygen. Furthermore, at low oxygen pressures carotenoids can neutralize free radicals and act as primary antioxidants in vitro. 3.2. Phenolic contents in fig achenes oil The total phenolic, flavonoid and o-diphenol contents of oil achenes of Ficus carica were determined by spectrophotometric means. These compounds constitute the major class of secondary plant metabolites with bioactive potential attributed to their antioxidant activity (Ahmad et al., 2011). Table 1 showed the concentrations of phenols, o-diphenols and flavonoids in the oil achenes extract. The oil extract has 144.89 mg/kg of phenolic content, and 47.27 mg/kg of odiphenols. Total flavonoids content was 124.5 mg /kg. To our knowledge this is the first work that studied the contents of these secondary metabolites in fig achenes' oil. Similar work has been done on other different plant achenes. Aaby, Skrede, & Wrolstad (2005) showed an average value of 3.6 g/100g FW of flavonoids in F. x ananassa achenes manually separated from freeze-dried berries. Tekaya et al. (2013) reported that the content of olive oil from Picholine variety was 140.89 mg/kg. Sevim and Tuncay (2013), in their study on olive oil from Ayvalık and Memecik varieties in the year of 2009, reported that total phenol contents were 122.34 and 154.98 mg CAE/kg, respectively. The above results suggest that, in comparaison with olive oil, the oil of variety "Kholi" achenes shows also a wealth of phenolic compounds. Thereby, this oil may have positive effects on health and can be used as a food supplement. 3.3. Determination of Gama-tocopherol content Tocopherols play an important role in the quality of vegetable oils because of their antioxidant activity, being more efficient at relatively lower concentrations. HPLC analysis showed that γ-tocopherol was the predominant isomer in fig achenes oil. As shown in Table 1, the γ-tocopherol content in fig achenes oil was 2.23 µg/g. In the same vein, Pande et al. properties, the oil from fig achenes confirms its nutritional value and dietary importance. The results of our study open new prospects for the valorization of substantial waste material generated from fig fruit processing, as a dietetic and nutritional product, and also may be exploited in the industry of beauty products. Acknowledgments The authors wish to thank M. Imed cheraief for his help in GC/MS analysis. This study was supported by the Ministère de l’Enseignement Supérieur, Ministère de la Recherche Scientifique de la technologie et de développement des compétences (UR03/ES08 Nutrition et Désordres Métaboliques) and CRDA de Mahdia. References Aaby, K., Skrede, G., & Wrolstad, R. E. (2005). Phenolic composition and antioxidant activities in flesh and achenes of strawberries (F. x ananassa). Journal of Agricultural and Food Chemistry, 53, 4032–4040. Ahmad, R., Hashim, H. M., Noor, Z. M., Ismail, N. H., Salim, F., Lajis, N. H., & Shaari, K. (2011). Antioxidant and Antidiabetic Potential of Malaysian Uncaria. Research Journal of Medicinal Plant, 5, 587-595. Akoh, C. C., & Min, D. B. (2008). Food Lipids, Chemistry, Nutrition and Biotechnology, CRC Press, Boca Raton. Ben Mansour, A., Poter, E. A., Kite, G. C., Simmonds, M. S. J., Abdelhedi, R., & Bouaziz, M. (2015). Phenolic Profile Characterization of Chemlali Olive Stones by Liquid Chromatography-Ion Trap Mass Spectrometry. Journal of Agricultural and Food Chemistry, 25,63(7), 1990-5. Bouaziz, M., Fki, I., Jemai, H., Ayadi, M., & Sayadi, S. (2008). Effect of storage on refined and husk olive oils composition stabilization by addition of natural antioxidants from chemlali olive leaves. Food chemistry, 108, 253-262. Atherosclerosis, 203, 18–31. Carvalho, I. S., Miranda, I., & Pereira, H. (2010). Evaluation of oil composition of some crops suitable for human nutrition. Industrial Crop Production, 24, 75–78. Castang, J., Olle, M., Derbesy, M., & Estienne, J. (1976). Composition de la fraction stérolique de quelques huiles alimentaires. Extrait des annales des falsifications, 737, 1-29. Chua, A. C. N., Jiang, P. L., Shi, L. S., Chou, W. M., & Tzen, J. T. C. (2008). Characterization of oil bodies in jelly fig achenes. Plant Physiology and Biochemistry, 46, 525-532. Conforti, F., Modesto, S., Menichini, F., Statti, G. A., Uzunov, D., & Solimene, U. (2011). Correlation between environmental factors, chemical composition, and antioxidative properties of caper species growing wild in Calabria (South Italy). Chemistry & Biodiversity, 8, 518–531. cardiovascular nursing; and council on epidemiology and prevention. Circulation, 119, 902–907. International Union of Pure and Applied Chemistry (IUPAC). (1992). In: C., Paquot & , A., Hautfenne (Eds. ), Standard Method for the Analysis of Oils, Fats and Derivatives. (7th ed.). London: Blackwell Scientific Publication. Jeong, W. S., & Lachance, P. A. (2001). Phytosterols and fatty acids in fig (Ficus carica var. Mission) fruit and tree components. Journal of Food Science, 66, 278–281. Kiritsakis, A. (1998). Olive oil from the tree to the table. (2nd ed.). Trumbull, Connecticut: Food and Nutrition Press-Inc. Letawe, C., Boone, M., & Pierard, G. E. (1998). Digital image analysis of the effect of topically applied linoleic acid on acne microcomedones. Clinival and Exprimental Dermatology, 23, 56-58. Li, L., Tsao, R., Yang, R., Kramer, J. K. G., & Hernandez, M. (2007). Fatty acid profiles, tocopherol contents, and antioxidant activities of heartnut (Juglans ailanthifolia Var. cordiformis) and Persian walnut (Juglans regia L.). Journal of Agricultural and Food Chemistry, 55(4), 1164–1169. Lukic, M., Lukic, I., Krapac, M., Sladonja, B., & Pilizota, V. (2013). Sterols and triterpene diols in olive oils as indicators of variety and degree of ripening. Food Chemistry, 136, 251-258. Montedoro, G. F., Servili, M., Baldioli, M., & Miniati, E. (1992). Simple and hydrolyzable phenolic compounds in virgin olive oil. 1. Their extraction, separation, and quantitative and semiquantitative evaluation by HPLC. Journal of Agricultural and Food Chemistry, 40, 1571–1576. Namiki, M. (1995). The chemistry and physiological functions of sesame. Food Reviews International, 11, 281-329. Nehdi, I. A., Sbihi, S. M., Tan, C.P., & Al-Resayes, S. I. (2014). Seed oil from Harmal (Rhazya stricta Decne) grown in Riyadh (Saudi Arabia): A potential source of αtocopherol. Journal Saudi Chemistry Society (Article In Press). Obied, H. K., Bedgood, D. R., Prenzler, P. D., & Robards, K. (2007). Chemical screening of olive biophenol extracts by hyphenated liquid chromatography. Analytica Chimica Acta, 603, 176−189. Oliveira, A. P., Baptista, P., Andrade, P. B., Martins, F., Pereira, J. A., Silva, B. M., & Valentao, P. (2012). Characterization of Ficus carica L. cultivars by DNA and secondary metabolite analysis: Is genetic diversity reflected in the chemical composition? Food Research International, 49, 710-719. Oliveira, A. P., Silva, L. R., Andrade, P. B., Valentão, P., Silva, B. M., & Gonçalves, R. (2010). Further insights into the latex metabolite profile of Ficus carica. Journal of Agricultural and Food Chemistry, 58, 10855–10863. Pande, G., & Akoh, C. C. (2010). Organic acids, antioxidant capacity, phenolic content and lipid characterisation of Georgia-grown underutilized fruit crops. Food chemistry, 120 (4), 1067-1075. Pirisi, F. M., Cabras, P., Falqui Cao, C., Migliorini, M., & Mugelli, M. (2000). Phenolic compound in virgin olive oil. 2. Reappraisal of the extraction, HPLC separation, and quantification procedures. Journal of Agricultural and Food Chemistry, 48, 1191– 1196. Psomiadou, E., & Tsimido, M. (2001). Pigments in Greek virgin olive oils: occurrence and levels. Journal of the Science of Food Agricultural, 81, 640–647. Re, R., Pellegrini, N., Proteggente, A., Pannalla, A., Yang, M., & Rice-Evans, C., 1999. Antioxidant activity applying an improved ABTS radical cation decolorization assay. Free Radical Bio Medicine, 26, 1231−1237. Rivellese, A.A., Maffettone, A., Vessby, B., Uusitupa, M., Hermansen, K., Berglund, L., Louheranta, A., Meyer, B. J., & Riccardi, G. (2003). Effects of dietary saturated, monounsaturated and n-3 fatty acids on fasting lipoproteins, LDL size and post-prandial lipid metabolism in healthy subjects. Atherosclerosis, 167, 149–158. Saldeen, T., Li, D., & Mehta, J. L. (1999). Differential effects of a- and c-tocopherol on lowdensity lipoprotein oxidation, superoxide activity, platelet aggregation and arterial thrombogenesis. Journal of the American College of Cardiology, 34(4), 1208–1215. Sevim, D., & Tuncay, O. (2013). Effect of Olive Leaves Addition before Extraction of Turkish Olive Cultivars on Olive Oil Minor Components and Antioxidant Activity. OMICS International, 2, 661, doi:10.4172/scientificreports. 661 Tekaya, M., Mechri, B., Bchir, A., Attia, F., Cheheb, H., Daassa, M., & Hammami, M. (2013). Enhancement of Antioxidants in Olive Oil by Foliar Fertilization of Olive Trees. Journal of American Oil Chemists’ Society, 90, 1377-1386. Vallverdú-Queralt, A., Medina-Remón, A., Martínez-Huélamo, M., Jauregui, O., AndresLacueva, C., & Lamuela-Raventos, R. M. (2011). Phenolic profile and hydrophilic antioxidant capacity as chemotaxonomic markers of tomato varieties. 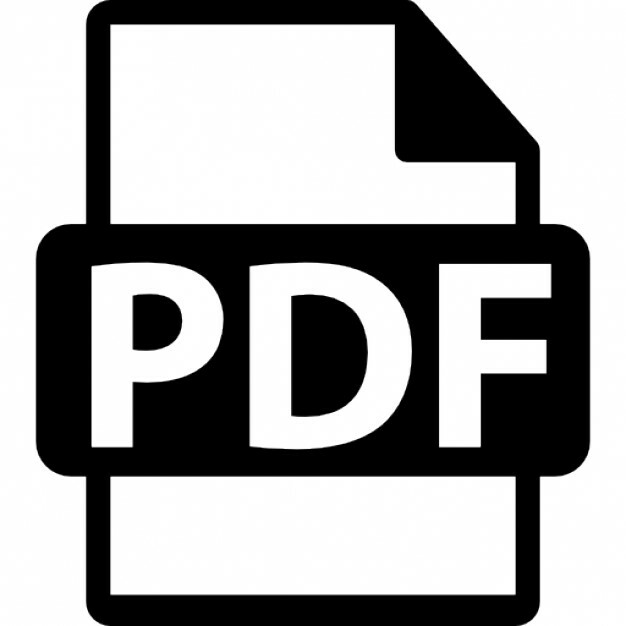 Journal Agricultural and Food Chemistry, 56, 3994–4001. Vinson, J. A., Zubik, L., Bose, P., Samman, N., & Proch, J. (2005). Dried fruits: Excellent in vitro and in vivo antioxidants. Journal of American College of Nutrition, 24, 44–50. Wijendran, V., & Hayes, K. C. (2004). Dietary n-6 and n-3 fatty acid balance and cardiovascular health. Annual Review Nutrition, 24, 597-615. Zhishen, J., Mengcheng, T., & Jianming, W. (1999). The determination of flavonoid contents in mulberry and their scavenging effects on superoxide radicals. Food Chemistry, 64, 555–559. Table 1 Mean values of the contents of antioxidant compounds (phenols, o-diphenols, flavonoids and pigments) in fig achenes oil of Kholi variety. Concentrations Phenols (mg /kg) 144.89 ± 4.16 Flavonoids (mg /kg) 124.5 ± 2.83 O-diphenols ( mg /kg) 47.27 ± 1.20 β-carotene(mg/ Kg) 81.08 ± 0.39 Chlorophylls (mg/Kg) 1.05 ± 0.31 Pheophytin-a (mg/Kg) 32.97 ± 9.84 γ-tocopherol (µg/g) 2.23 ± 0.26 Results are represented as mean values ± standard deviation of tree replicate analyses. Table 2 Fatty acid composition (%) of the studied fig achenes oil. Fatty acids Concentrations C16:0 8.3 ± 0.03 C16:1 0.17 ± 0.00 C17:0 0.07 ± 0.04 C17:1 0.03 ± 0.01 C18:0 2.94 ± 0.03 C18:1 trans 0.03 ± 0.02 C18:1 cis 14.7 ± 0.18 C18:2 trans 0.06 ± 0.01 C18:2 cis 25.48 ± 0.03 C18:3 47.77 ± 0.1 C20:0 0.29 ± 0.04 C20:1 0.15 ± 0.02 ∑ SFA 11.6 ± 0.03 ∑ UFA 88.39 ± 0.15 ∑ PUFA 73.31 ± 0.05 UFA/SFA 7.62 ± 0.05 PUFA/SFA 6.32 ± 0.04 Values are the means of the three replicates analyses (n=3) ± standard deviations. SFA: Saturated fatty acids; UFA: Unsaturated fatty acids; PUFA: Polyunsaturated fatty acids. Values are the means of the three replicates analyses (n=3) ± standard deviations. Highlights * The fig achenes' oil is a rich source of bioactive molecules. * The predominant fatty acid in fig achenes'oil of variety ''Kholi" is linolenic acid. * The sterol analysis of achenes' oil shows the predominance of ∆5,23-Stigmastadienol. * The oil from fig achenes confirms its nutritional value and dietary importance. Report "Characterization of fig achenes’ oil of Ficus carica grown in Tunisia"